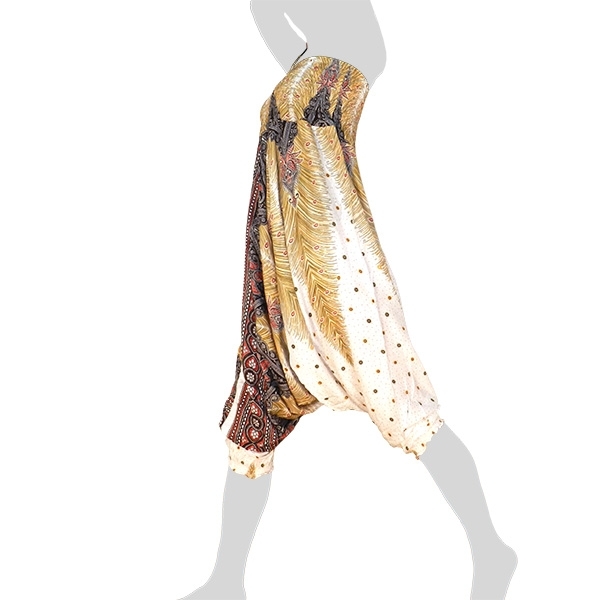 This light and airy Dance Pants-Dress with a nice "Oriental / Peacock Feathers" pattern comes from the hilltribes of northern Thailand and due to comfort and leg-space they suit ideal for hot climate and all sorts of leisure activities. 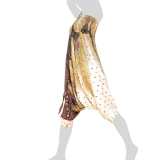 The simple and convenient cut captivates just as the comfortable soft rayon fabrics. 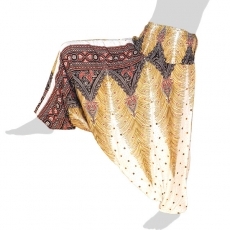 You can also use the waist laces around your neck and pull the waistband over your chest and wear it like a dress, just that it`s still an Aladdin Dance Pants!